In the Army, Electronic Warfare Specialists oversee and carry out military actions that involve the use of electromagnetic energy to manipulate and prevent hostile use of the electromagnetic spectrum. 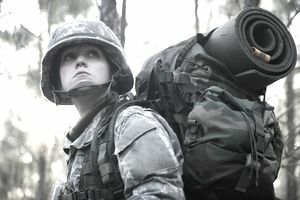 The goal of an Electronic Warfare Specialist is to plan, coordinate and execute electronic attacks, electronic support, and electronic protection, according to the Army's job description. So what exactly is electronic warfare? It's easier to grasp the concept with a real-world example of how it was used and why. It sounds extremely high-tech (and it is), but most people who have watched a science fiction movie like "Star Wars" will be familiar with the concept of "jamming" the enemy's signal or radar (or other electronic communications). One of the best-known real-life uses of electromagnetic warfare was Operation Orchard in 2007. During this incident, Israel Air Force intelligence officials interfered with air defense systems of the Syrian army. While the Syrians were looking at what appeared to be a calm sky on their radar, Israeli jets were bombing a suspected nuclear reactor site inside Syria. Electronic support also can help friendly forces by using electronic warfare detection to find enemy units, while electronic protection uses equipment to protect the military's communication systems and other kinds of electronic gear. And of course, there will be instances when electronic warfare is appropriate as a countermeasure, to fend off a threat or possible attack. All of these scenarios are part of the job of the Electronic Warfare Specialist. Candidates for the Electronic Warfare Specialist course spend nine weeks in training at the Fires Center of Excellence at Fort Sill, Oklahoma. Those who successfully complete the course are awarded Military Occupational Specialty (MOS) 29E. Some of the training is in a classroom, but a good amount of the course is spent in on-the-job training in the field with instructors. Included among the things soldiers learn in this training program are radio wave theory, how to determine frequencies and how to plan and execute electronic warfare operations. In order to qualify for this MOS, a soldier has to have a high school diploma or high school equivalency degree. He or she must show completion of high school algebra. Soldiers need a score of 100 on the Surveillance and Communications (SC), Electronics (EL) and Skilled Technical (ST) segments of the Armed Services Vocation Aptitude Battery (ASVAB) test to be considered for a job as an Electronic Warfare Specialist. In addition, soldiers entering this field need a security eligibility of Secret and should be able to qualify for a Top Secret clearance with Sensitive Compartmented Information (SCI). Soldiers also need normal color vision and a grade of sergeant or above with less than a decade in active service. In-service accession soldiers should have passed the Warrior Leader Course. The job of Electronic Warfare Specialist is suited for those with an interest in military intelligence and counterintelligence, and an aptitude for working with electronic equipment.